Arlo announced a new wireless security camera system this week, one featuring 4K HDR recording, designed for usage outside and inside. Slated to go on sale next year during Q1, the system will be priced at $399. For that price, buyers will get a single camera and SmartHub, which connects to your router and extends WiFi range to your Arlo camera(s). The hub also features a microSD card slot for local storage of recorded clips. 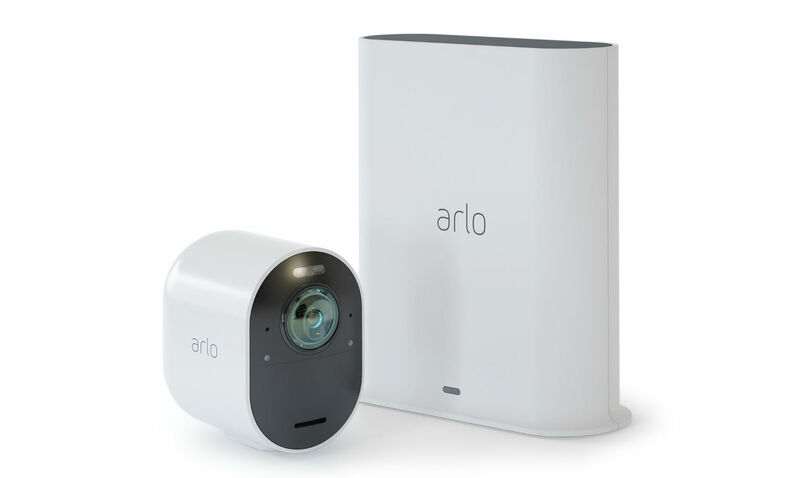 For the camera itself, Arlo mentions that it has a panoramic 180-degree diagonal field of view, an integrated spotlight (allowing you to see color at night instead of just black and white), as well as that 4K resolution that will allow you to see important details should the time ever come. With purchase, Arlo is throwing in a one-year subscription to Arlo Smart Premier ($119.88 value), which offers Arlo’s “sophisticated AI and computer vision technologies” from right inside the Arlo app. As an example, with this subscription, you can get personalized notifications for particular people, animals, vehicles, and package detection. Again, Arlo Ultra will go on sale in Q1 next year, priced at $399.